Concussions are a common but enigmatic brain injury. They can happen to anyone, affect individuals vastly differently, and leave no visible mark on the brain. The symptoms of a concussion can be easily mistaken for other conditions and, in some cases, are difficult or even impossible to detect. Concussions have been in the medical lexicon for thousands of years, but their mechanisms of action and long-term health effects are still poorly understood. There is currently no evidence-based treatment for concussions other than rest and their medical management is largely guided by individual expert opinion, which varies considerably. But an emerging body of systematic research, bolstered by increasingly vocal testimony from athletes and other groups at high risk for concussions, is starting to paint a clearer picture of how these injuries work and their potentially serious, lasting consequences. Traumatic brain injury (TBI) is a broad category of physical injuries to the brain, including penetrating head injuries such as gunshots or knife wounds, and nonpenetrating traumas ranging from concussions, to cerebral contusions (brain bruising), axonal damage (tearing of nerve fibers), intracranial hemorrhage (bleeding inside the skull), and skull fractures. A concussion is a type of mild traumatic brain injury (mTBI) – specifically, a nonpenetrating one that temporarily alters brain function. 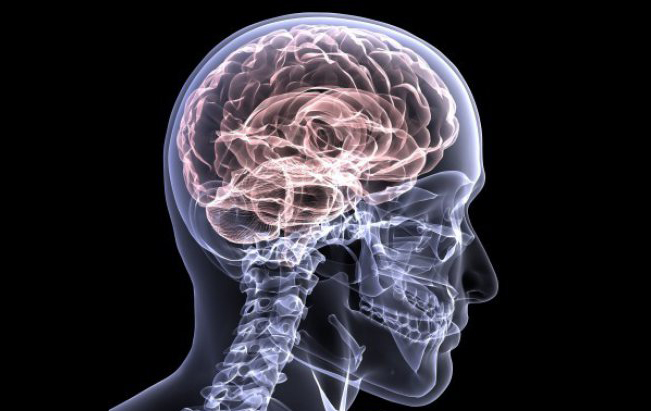 Concussions usually do not involve easily detectable structural damage to the brain. Instead, they cause injury at the cellular level, affecting the activity, connections, and supporting cells of the neurons responsible for brain-based functions. Because of this cell-level impact, concussions are very difficult to detect even using standard computer tomography (CT) scans and magnetic resonance imaging (MRI) technologies, which can only reliably show injury at larger scales. Sophisticated variants of MRI, such as diffusion tensor imaging, can sometimes detect certain concussion-related abnormalities, but not reliably. The brain is surrounded within the skull by a layer of cerebrospinal fluid, which cushions the brain and protects it during normal day-to-day movement. Concussions occur when rapid movement of the head or body causes the brain to bounce against, twist, or stretch inside the skull. The rapid movements that cause concussions are usually triggered by direct blows, forceful shakes, rotations, or severe jolts of the head. These can occur in a variety of situations, the most common being falls, motor vehicle accidents, physical assaults, and sports- or recreation-related impacts. Most heal quickly (in days to weeks), with minimal or no noticeable symptoms. Some cause temporary symptoms, such as loss of consciousness, headaches, nausea, vomiting, dizziness, blurred vision, memory problems, sleep changes, or mood changes. These post-concussive symptoms usually last for a period of days to weeks but can sometimes persist for several months or even years. Repeat injuries can lead to longer-term cognitive health effects and severe brain damage. A repeat concussion sustained too soon before a prior injury has fully healed is especially dangerous because it can cause life-threatening brain swelling. This condition is called second-impact syndrome and is rare, but can be fatal. In 2013, close to 3 million TBI-related emergency-room visits, hospitalizations, and deaths occurred in the United States. Most of these involved concussions. Because concussions are difficult to diagnose and many people do not recognize or notice their symptoms, the true prevalence is likely far higher than accounted for by hospital-related statistics. Estimates vary, but surveys suggest that as many as half of all concussions go undetected or unreported. differences in the likelihood of reporting symptoms or a suspected injury. There is no single test to diagnose a concussion with certainty. In fact, most physical and cognitive exams, blood tests, and brain scans following a suspected injury yield normal results. Because of this, doctors typically diagnose concussions clinically, based on a patient’s history and self-reported symptoms. The Glasgow Coma Scale and other assessment tools are used by some physicians to help diagnose and grade TBI severity. These methods use a point system to score patient-responsiveness to motor, verbal, and visual stimuli. Physicians can also conduct neurological exams to evaluate balance, vision, and hearing following a suspected concussion, as well as cognition tests to assess memory and concentration. For patients presenting severe acute symptoms such as intense vomiting or prolonged disorientation, CT and MRI imaging is sometimes used to rule out serious complications such as brain bleeding – but these scans cannot diagnose a concussion on its own. Currently, the only evidence-based treatment protocol for a concussion is near-term rest. Clinical studies generally support the recovery benefits of an initial rest period of 24 to 48 hours after a concussive episode, followed by gradual reintroduction of physical activity. Some animal studies suggest that rest may be important for the recovery process because of the significant energy required to heal injured nerve fibers in the brain, particularly when there is inflammation or reduced blood flow. While consensus recommendations for concussion management are beginning to emerge in certain injury landscapes (e.g., high-school sports), the medical community overall lacks standardized, methodically derived protocols for treatment of these injuries. It was observed in the 1920s that professional boxers would often begin to act “punch drunk” after being in the sport for a period of time. It was intuitively understood that repeat blows to the head could be problematic, but there was no body of scientific evidence to characterize health effects beyond the immediate injury itself. It wasn’t until the last decade or so, thanks in large part to increased participation of athletes in TBI research, that scientists were first able to describe and present solid evidence for chronic traumatic encephalopathy (CTE) – a progressive neurodegenerative disease resulting from repetitive blows to the head over a number of years. Since then, a growing body of research has confirmed that physical head injuries, including concussions, can actually lead to progressive, irreversible diseases of the brain. In 2017, a seminal study of over 100 donated brains from deceased American football players (most of whom displayed cognitive decline before death) found that nearly all the specimens had signs of significant CTE – in the form of protein clumps spread throughout the brain. Scientists now know that over time, as CTE advances, these clumps build up and kill healthy brain cells, particularly in the deepest crevices of the brain’s surface. This leads to progressive cognitive problems such as memory loss, depression, confusion, impulse control issues, and dementia. Several recent studies have also uncovered the important role of sub-concussive impacts in the development of CTE. These more modest hits to the head lightly jostle the brain, but are not severe enough to alter brain function following impact and are completely asymptomatic. Research suggests that even these gentler bumps and knocks to the head can be cumulatively damaging when sustained repeatedly over time. Some recent studies have also suggested that CTE could be tied to elevated risk for other neurodegenerative diseases, including Alzheimer’s disease. Other recent research suggests that even a single traumatic brain injury could increase a person's risk for Parkinson's disease. But these links have yet to be definitively confirmed. TBI Blood Test. In early 2018, the Food and Drug Administration (FDA) approved the first commercial diagnostic blood test for head injury. It measures specific proteins in blood that are usually found at elevated levels following injuries that cause damage to nerves and brain cells. Clinical trials showed that, when negative, the test indicates with high accuracy that no CT-detectable lesion exists—potentially precluding the need for such imaging studies. The test itself cannot detect a concussion but shows promise as a triaging tool to help rule out the need for expensive brain scans following a suspected injury. The test is approved for use in adults only. In-vivo CTE Scanning. Currently, CTE can be reliably diagnosed only after death, by analyzing post-mortem brain specimens. One recent study suggests there may be certain discernable patterns in the CTE-afflicted brain that are detectable by positron emission tomography (PET) scan – but more research is needed. The ability to scan for and diagnose CTE in living people would significantly expand research opportunities for new treatments. CTE Prevention Pills. Scientists are also researching the possibility of oral medications that could slow the spread of CTE in the brain by binding to and destroying the protein build-up that is the hallmark of the disease. Research on the effectiveness of such a pill and other medications focused on reversing specific CTE symptoms, such as memory loss, is currently being conducted on rodents. Helmet Technology. Various efforts are underway to engineer new models of athletic helmets and mouthpieces that could help signal or protect against head trauma. Technologies being explored include surface polymer films that light up when hit with sufficient force, flexible materials that absorb impact forces, and layered, precision-fit models that minimize rotational forces on the head. Policy Measures. Given the high incidence of this injury among voluntary participants in high-impact sports, the concussion problem will likely not be solved by science and technology alone. Increasing policy-based efforts are underway within school and sports communities to help address the problem via concussion-education programs and new safety protocols. A 2014 paper, The First Concussion Crisis: Head Injury and Evidence in Early American Football, published in the American Journal of Public Health, provides an historical review of scientific and societal milestones related to concussions and describes the evolution of the sport and medical communities’ approach to this injury over the last century. The Centers for Disease Control and Prevention (CDC) provides comprehensive statistics and trends in TBI incidence in its 2017 report, Traumatic Brain Injury-Related Emergency Department Visits, Hospitalizations, and Deaths – United States 2007 and 2013. One of the report’s key findings is that more attention should be paid to older-adult falls as a major cause of TBI in the U.S. The largest body of concussion research relates to sports- and recreation-related TBI. Several studies of high-school and collegiate athletes point to the elevated risks associated with repeat concussive episodes. A 2015 paper, Epidemiology of sports-related concussion in seven US high school and collegiate sports, published in Injury Epidemiology provides an overview of concussion incidence across different types of sports. A 2010 study in the Journal of the American Medical Association (JAMA), Cumulative Effects Associated with Recurrent Concussions in Collegiate Football Players, describes the impact of previous concussion history on risk for future episodes. In 2017, a major study of the brains of deceased American football players published in the JAMA found that 110 out of 111 brains examined had clear signs of significant CTE. This study is one of the largest and most significant direct studies of CTE in the human brain, but importantly, its samples were “self-selected” – including only specimens from athletes who participated in high-contact sports during their adult lives. Another 2017 post-mortem study of deceased soccer players who had exhibited signs of dementia before death found similar physical evidence of extreme CTE. Other recent studies are beginning to shed light on the cumulative contributions of repeat sub-concussive episodes to CTE-related cognitive decline (NeuroImage: Clinical, 2017), as well as how CTE propagates and the specific proteins involved in its destruction of healthy brain cells (PLOS One, 2017). Several studies, including a 2017 epidemiological assessment in the Orthopaedic Journal of Sports Medicine and a 2018 study of concussion incidence among young athletes in the Archives of Clinical Neuropsychology show that, contrary to historical assumptions, in many settings, female athletes are at higher concussion risk than their male counterparts, particularly female soccer players. Other studies on neck strength (Journal of Athletic Training, 2017), symptom reporting (Journal of Adolescence, 2017), and hormonal factors (Obstetrics and Gynecology, 2017) are beginning to explore the potential drivers for these gender differences, but more research is needed. A 2016 study, Sports- and Recreation-Related Concussions in U.S. Youth, in the journal Pediatrics, offers one of the most detailed estimates of pediatric sports- and recreation-related concussions in the United States. It finds that American children experience between 1.1 – 1.9 million sports- and recreation-related concussions annually. Other studies in Health Education and Behavior (2017) and Child: Care, Health, and Development (2017) describe the risks and social challenges related to underreporting of concussions among young children and youth athletes. These and other studies emphasize the role of educating parents about ways to reduce concussion risks. Two 2012 papers in Current Translational Geriatrics and Experimental Gerontology Reports—Mild Traumatic Brain Injury among the Geriatric Population and Traumatic Brain Injury in the Elderly: Is it as Bad as we Think?—describe the landscape of risks related to mild traumatic brain injury for elderly adults. A 2018 report, Protecting Warfighters from Blast Injury, published by the Center for a New American Security (an independent, bipartisan, nonprofit think tank) summarizes several studies by the Department of Defense about the incidence and impact of explosive-blast exposures on the brain health of servicemembers. A 2013 report by the CDC to Congress, Understanding the Public Health Problem among Current and Former Military Personnel, found that from 2000 to 2011, 4.2 percent of servicemembers across all components of the U.S. military were diagnosed with TBI, mostly in the “mild” category. The report also outlines the challenges associated with data gathering on TBI among active duty servicemembers and estimates the economic cost of TBI in the military. A 2018 consortium study of patients in the Veteran’s Health Administration published in Neurology suggests that history of mTBI (even a single episode) may be associated with a 56 percent increased risk for developing Parkinson’s disease. The large sample size is a strength of the study, but it may not fully account for other Parkinson’s disease risk factors in this population, such as alcohol use and post-traumatic stress disorder. Moreover, overall risk for developing this disease remains very low, even among TBI patients. A 2015 study in Neuropathologica Acta suggests links between repetitive mTBI-induced CTE and elevated risk of Alzehimer’s disease, but more research is needed. A 2015 clinical-literature review in the journal Brain Injury, summarizes the evidence base for existing concussion management strategies and concludes that while promising work is being done, there is a lack of systematic research on standardized treatment protocols for patients following a concussion. A 2016 study of mice with repeat TBI in the American Journal of Pathology offered some of the first direct evidence (albeit in animal models) to support rest as a critical window for restoration of damaged neural networks following brain injury. A 2017 evaluation in the British Journal of Sports Medicine looks specifically at rest as a treatment strategy and finds that while there is evidence to support a brief period of cognitive and physical rest for most concussed patients, more research is needed to define rest-duration, monitoring, and activity-reintroduction protocols. Real-world efficacy of a new TBI blood test approved in 2018 by the FDA remains to be observed and emerging research on the possibility of in-vivo diagnosis of CTE and medications to prevent or reverse CTE symptoms is nascent.